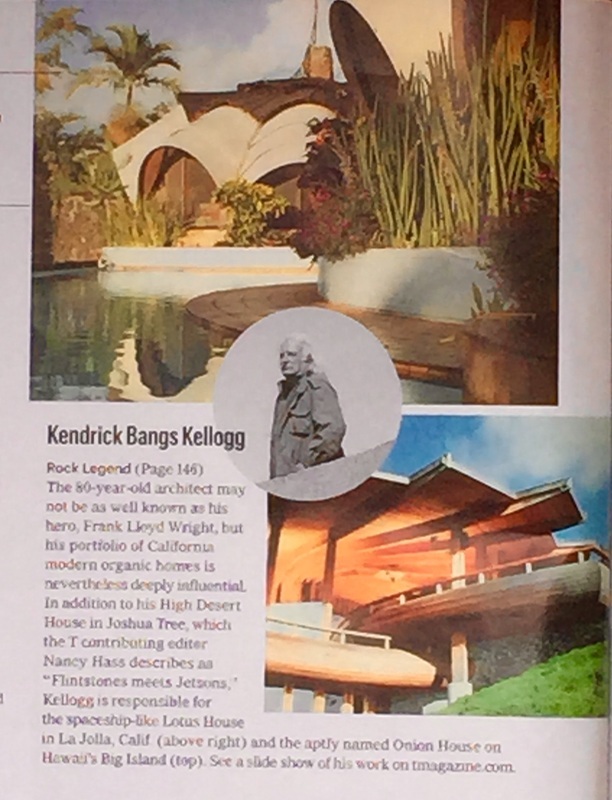 The Travel Channel: "Amazing Vacation Homes"
New york times: "Rock Legend"
2015 New York Times article "'Rock Legend" features Kellogg's High Desert House and the Onion House. 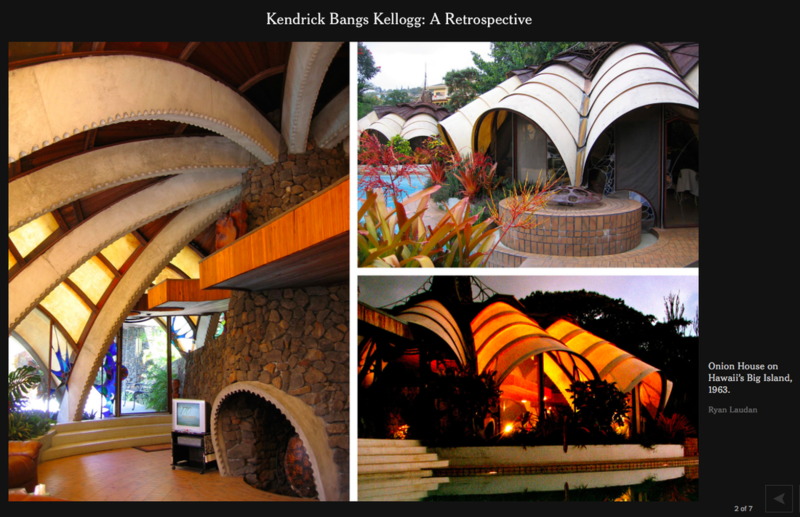 2015 book features the architecture of Kendrick Kellogg, James Hubbell, and Wallace Cunningham. West Hawaii Today: "The Legend Lives On"
ke Ola Magazine: "Kona's ONion House"